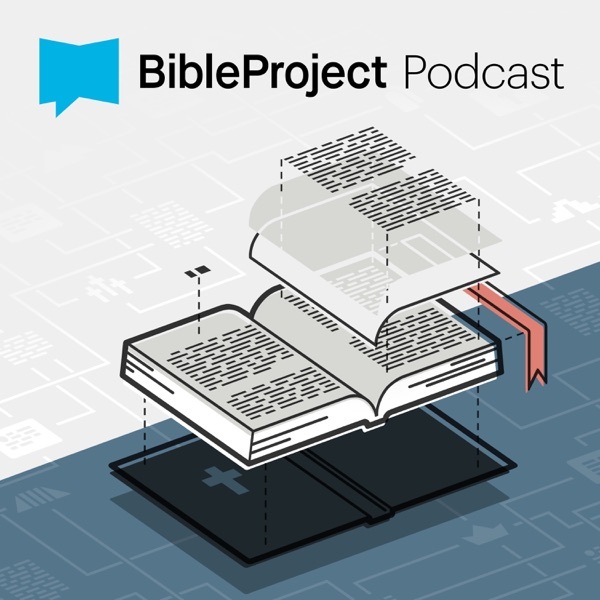 Tim and Jon discuss literary design patterns in the Bible. Tim and Jon discuss literature design patterns in the Bible to a live audience and answer questions from the audience. Tim and Jon discuss the importance of understanding “Setting” in Bible stories. This is our Exile Q+R! This is our last episode in our Exile series. This is our fifth episode in our series on Exile. In this episode, Tim and Jon discuss the theme of Exile in the story of Jesus and the New Testament. This is part 4 of our conversation on the biblical theme of exile. In this show Tim and Jon breakdown famous Old Testament stories and how the exile theme is often an overlooked aspect of many Bible stories. This is part 2 on the Exile theme in the Bible. Tim and Jon break down how the Jewish exile impacted our modern Bible. Jon and Tim respond to questions on the theme of Justice. This is our third episode on the Hebrew word “Nephesh”. Tim and Jon discuss the Hebrew concepts of an afterlife. According to the Bible, we don’t have souls, we are souls. This is part 3 in our Justice series where we discuss Jesus and his mission for justice. Justice Part 2: What is Social Justice and Righteousness in the Bible? This is episode two of our Justice series. Tim and Jon discuss the twin ideas of Justice and Righteousness in the Bible. Justice Part 1: What's the Biblical Vision of Justice? Tim and Jon discuss how understanding the unique ways plot and narrative are used by the Hebrew authors to write Bible stories can impact how we read the Bible. This is part two of our discussion on the Christian Ideal. Tim, Jon and their colleague Paul Pastor continue their discussion on redefining and reimagining holiness. What is the Christian Ideal? That’s exactly what we ask. In thie sixth episode of this series, Tim and Jon continue discussing the story of Cain and Abel in the Bible and why its a good example of Jewish Meditation Literature. The Cain and Abel story is famous for its lack of detail, mysteriousness and brevity. How to Read the Bible Part 5: Why isn't there more detail in Bible stories? How to Read the Bible Part 4: Poetry, Narrative and Prose Discourse Genres. Jon and Tim discuss the different literary styles used in the Bible. Tim and Jon discuss the big three of literary styles employed in the Bible: Narrative, Poetry, & Prose-Discourse. How to Read the Bible Part 2: Is Reading The Bible Together Just a Form of Group Think? A jam packed episode where Tim and Jon discuss the ancient Hebrew practice of reading the Bible aloud, the sociology of both creating environments and being created by environments in Christianity, and the different kind of power between stories and facts. How to Read the Bible Part 1: Reading the Bible Aloud in a Community? Tim and Jon discuss the differences in ancient and modern ways of reading scripture, including why the Hebrew people would read scripture together as a group. The guys also talk about how challenging it can be to read the Bible by yourself. Tim and Jon respond to questions from our listeners on the theme of the Day of the Lord. Ancient Israel thinks that Jesus will lead them in war against the Romans and are surprised when Jesus alternatively goes to war with Evil itself. A look into Amos, Habakuk, and Zephaniah. Where does evil come from and why does it exist? Day of the Lord Part Three: Solomon, the Richest Man in Babylon? Things aren't always what they seem in ancient Israel, and is it possible that there are Babylons among us today? Day Of The Lord Part One: What's The Deal With "Babylon"? A look into how Bible authors deal with the future of the world. This week is our second to last release in our Old Testament Q+R series. We talk Deuteronomy. A Q+R on the book of Numbers in the Old Testament. A Q+R on the second half of the book of Exodus in the Old Testament. A Q+R on the first half of the book of Exodus. Responses to listener's questions from Genesis 12-50. Responses to listeners questions from Genesis 1-11. Word Study: Shema - "Listen"
An overview of how God's Spirit is understood in the New Testament. What does it mean for man to have a spirit? How does God's Spirit interact with man's spirit? We discuss Luke 9-24. What did Jesus do and talk about when he was alive? Why did his message get him in trouble? Was Jesus a rebel? How does Luke want us to see Jesus? Luke Chapters 1-6 ooze with references and allusions to the Old Testament to show how Jesus is the fulfillment of the story of Israel. Tim and I are working on a series of videos that will tell the story of Jesus as recorded by Luke in his gospel. In this episode we do a quick overview of the entire book, working through each of the sections, observing how they all fit together. This episode is our preparation for making a video series that walks through the entire life of Jesus as told by Luke in his Gospel. This first episode is an introduction to what the Gospels are, and what it means to trust them as an accurate representation of what happened in human history. The Gospels are the version of what happened according to his disciples, and not only what happened, but why it all matters. This is our third and final conversation about the book of Job. First we talk about Elihu, a character that seems to pop up our of nowhere. Then we talk about chapter 28 in Job, how it stands apart from the rest of the speeches and gives us a clue as to what the point of the whole book is. Then we talk about the final showdown. God responds to Job’s accusations of being unjust and unfair. The Wisdom of Job Part 2: Where on Earth is "Uz"? This is part two of our three part conversation on Job. The question in Job is if God is just does that mean that the universe ought to always be run by the principle of strict just compensation. In this way the book of Job is a perfect thought experiment to explore this question. Job has done nothing to deserve the suffering that is inflicted on him. God acknowledges there was no reason. But even though Job doesn’t deserve it, he is still human and he reacts to the suffering in a myriad of ways. Sometimes trusting and praising God, sometimes accusing God of being cruel and untrustworthy. Why do good people suffer? Why is there evil in the world? Why can’t God make it so that everyone always gets what they deserve? Many people turn to Job to learn about how to deal with suffering as it is a very realistic portrayal of someone dealing with circumstances that are unfair. But is that all the book of Job is about? The book of Ecclesiastes is a unique book in the Bible that has delighted and confused Christians throughout the years. It is our second book in the Wisdom Series. One thing that makes it unique is where scripture relies on ancient wisdom as core to understanding God’s world, Ecclesiastes’ Wisdom is based off of experimentation. The core conclusion of Ecclesiastes is that life is Hevel. “Hevel, Hevel, everything is Hevel.” And while modern translations typically translate that Hebrew word as “Meaningless”. And it is all over the book. In Hebrew, it is the word for smoke or vapor. This book is for understanding Proverbs and Parables and Riddles for the wise. This book claims that there is a powerful, mysterious force in the universe called Hochma, we translate into “Wisdom". Wisdom is built into the universe principle in which the whole universe is ordered and which it coheres. The book starts with nine chapters of speeches encouraging us to seek after Hochma. What is the chief end of man? How does being an Image of God affect me practically? Being remade into the Image of God is a different Christian narrative then we usually hear. Jesus is the truly human one who represents God's reign on earth and we are joined with him through the Holy Spirit to participate in that reign. What does it mean that humans were created in "the image of God". Jon and Tim discuss this biblical theme and its implications for Jesus followers. A Question + Response episode on the Biblical theme of holiness. Jon and Tim respond to questions about the theme of Heaven + Earth in the Bible. Heaven and Earth Part 4: What Did The Biblical Writers Think Happens After You Die? How Jesus followers saw themselves as a manifestation of God's presence on earth. How to seek God's Kingdom here on earth. And what happens when I die? In this episode we discuss why God's space and our space was torn apart, Cherubim, the prophetic hope for New Creation and how Jesus saw himself as a new temple. How does the Bible talk about where God lives? Tim and Jon walk through the biblical themes of Heaven and Earth in a three part conversation. What does it mean for Jesus to bring the Kingdom of God? God's Kingdom is introduced to us in Genesis 1 but then something goes wrong. We discuss how the Bible describes the conflict of the Kingdom of the world and the Kingdom of God and God's plan to fix it. Tim and Jon discuss why God gave so many laws to ancient Israel in the Bible. There are 613 laws found in the Torah, the first five books of the Bible, and they were the basis of God's covenant with Israel. What role does the laws play in relationship to the overall narrative of the Old Testament?